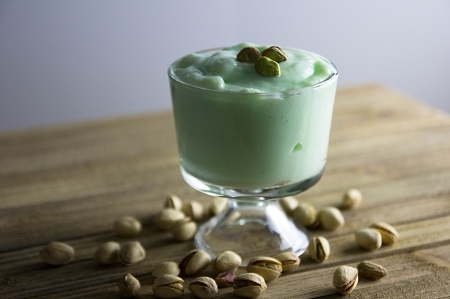 Our Pistachio Pudding mixes make rich and creamy low calorie desserts that are diabetic-friendly. Easy to make—just add milk and chill. 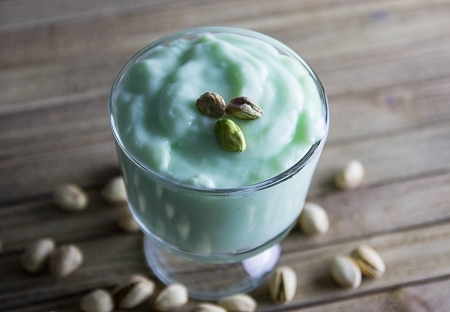 Modified Starch, Fructose, Maltodextrin, Corn Starch, Tetrasodium Pyrophosphate, Emulsifier (Mono and Diclycerides, Nonfat Milk, Cornstarch), Salt, Pistachio Flavor, Dipotassium Phosphate, Xanthan Gum, Locust Bean Gum, Acesulfame Potassium, Cream Flavor, Sucralose, Green Shade (FD&C Yellow #5, FD&C Blue #1).